located in Freiburg (Germany) and an online mix & mastering service. It is our task to provide artists a professional sound despite a good price.  GET THE HOTTEST BEATS & THE BEST SOUNDING PRODUCTIONS TODAY! MP3 / WAV Lease: buy 1 - get 1 free! Click here for the Mobile Shop! Your beat comes instantly via e-mail after payment, without any voicetags, ready to use! Listen to one of our latest productions! Do you want a beat FOR FREE?